March 19, 2015 - The Federal Aviation Administration today issued an experimental airworthiness certificate to an Amazon Logistics, Inc. unmanned aircraft (UAS) design that the company will use for research and development and crew training. Amazon is an electronic commerce company with headquarters in Seattle, Washington. 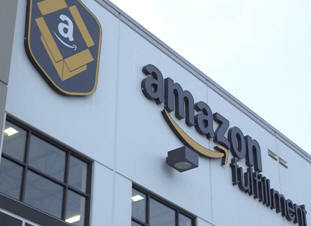 It is the largest Internet-based retailer in the United States. The company sells books, DVDs, VHSs, CDs, video and MP3 downloads, software, video games, electronics, apparel, furniture, food, toys, and jewelry. The company also produces consumer electronics such as the Amazon Kindle e-book readers, Fire tablets, Fire TV and Fire Phone. Amazon Prime Air is a concept by Amazon in which the company would like to provide package delivery services of packages weighing less than five pounds to customers from the company's local fulfillment centers. This will require the FAA to approve commercial use of unmanned drones. Back in July of last year, Amazon presented to the FAA its prototypes that could fly 50 miles and carry five pound packages. The FAA typically issues experimental certificates to manufacturers and technology developers to operate a UAS that does not have a type certificate. Under the provisions of the certificate, all flight operations must be conducted at 400 feet or below during daylight hours in visual meteorological conditions. The UAS must always remain within visual line-of-sight of the pilot and observer. The pilot actually flying the aircraft must have at least a private pilot’s certificate and current medical certification. The certificate also requires Amazon to provide monthly data to the FAA. The company must report the number of flights conducted, pilot duty time per flight, unusual hardware or software malfunctions, any deviations from air traffic controllers’ instructions, and any unintended loss of communication links. The FAA includes these reporting requirements in all UAS experimental airworthiness certificates.